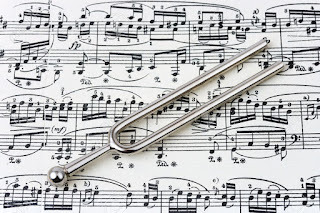 Have you ever wondered what other parents do to motivate their piano kids to practice? Or how they balance the requirements of piano with everything else on their schedules? 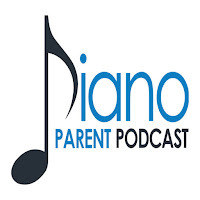 Well, there's a podcast for piano parents that you should check out! And yours truly was the guest for their latest episode! And here for the shownotes. The pieces that we already have a connection to are often the ones that we are more motivated to practice. Its just really fun to play music that we've heard before. So one of the things I really enjoy doing as a teacher is creating piano arrangements of student requests. If you want to know more about when and why I began doing this, you can read read that blog post here. 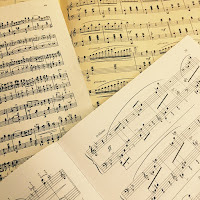 And so after several years of sitting down to arrange student requests on a regular basis, I've accumulated a number of popular pieces arranged for beginner and intermediate piano that have been so successful with my own students that I decided to try publishing several of these arrangements for others to purchase. And in doing so have officially joined the world of music publishing! You can visit my store here. 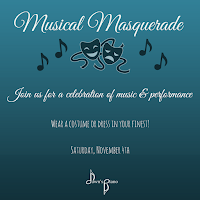 It's almost time for our annual Masquerade Piano Recital, and we can't wait! The show will be on Saturday, November 4th. So let's talk about piano tuning. A couple years ago I set a personal goal to get a suitable practice instrument in every one of my students' homes. . . and it's been easier said than done. Since then, I have drafted soo many email tuning reminders or instrument upgrade recommendations, and had conversations with several studio parents about how important it is to get your current instrument tuned every year.